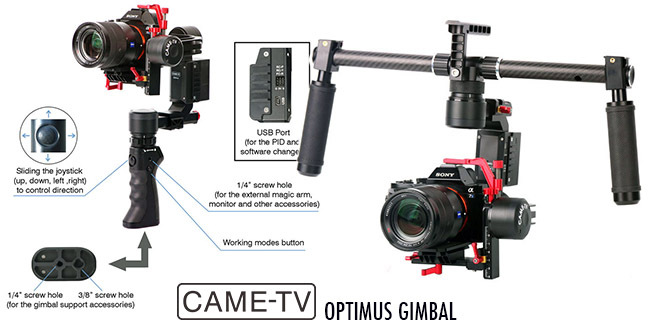 Here's a product overview of the new CAME-TV Optimus Gimbal vs the popular CAME-TV Single. In a nutshell, if you were happy with the performance of the SINGLE Gimbal, you'll be blown away by what you can do with the new design and flexibility of the Optimus. Now both gimbals support the same payload, so don't expect to use heavy camera setups. As I said, it doesn't matter how small your camera body is if you've decided to use lens adapters and large full frame Canon Lenses. That's no longer considered a 'small camera' setup. You'll want to stick with the small camera body + small native lenses to get the best results from these small gimbal systems. If you're curious what type of camera and lens combinations work, take a look at the CAME-SINGLE product page. They have a very nice list of camera and lens combinations that customers are using and they also link to the customer videos. Not only will you get a sense of what works, but also how the final images look from wide angles to portrait lenses - (click here for examples). 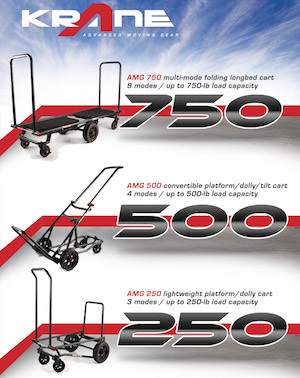 Unlike the SINGLE, the Optimus now folds flat for travel as there are no 'hard stops' built into the motor rotations. Each motor can rotate a full 360 degrees thanks to new slip rings incorporated into each motor housing. With the ability to rotate without limits, the gimbal can be used inverted or upright, and can be rotated at anytime without having to restart the system. And now that the battery has been relocated to the frame, you will be able to use a variety of different handles or mount the gimbal frame under a jib or Drone. Another bonus of course is that you can swap out the batteries quickly if needed. The CAME-SINGLE with battery built into the handle was a bit more time consuming to change batteries. 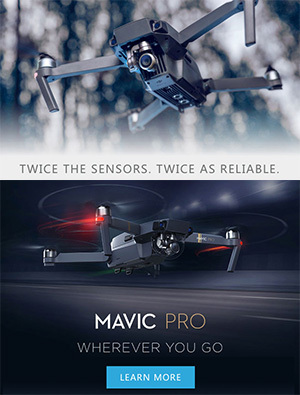 Also a difference from the CAME-SINGLE (or other gimbals) is the ability to connect directly with the Flight Control Inputs (located on the side of frame) for Pitch, Roll, and YAW. If you understand SBGC these inputs are used to connect an RC Remote (i.e. Futaba) to control the gimbal from a very long distance or to integrate with the controls of your Drone. So while the Optimus does carry a higher price tag it includes many accessories over other systems. First, you get two batteries. You also get the Single Handle + the Dual Handles. It will include a tripod mount for balancing, and a fairly decent Hard Case for travel. You'll also get a Wireless Joystick and Magic Arm (for mounting accessories). That's a pretty decent bundle of items if you're trying to compare prices with other systems. 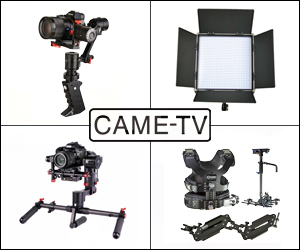 For more information and to see samples already shot with this gimbal, check out the CAME-TV Optimus Product Page (here). Posted in dslr video. Tags: 3 axis gimbal, came single, came-tv optimus vs single, cametv, Gh4 gimbal, optimus gimbal, Sony Gimbal on August 3, 2016 by Cheesycam. Hi, I just bought one of these Optimus gimbals and i'm having a hard time with it. CAME-TV support is not helpful so i'm hoping you might have an answer? When I tighten down the quick release plate onto the gimbal, the tightening screw pushes the plate (and camera) up on the back right side, warping the plate and tilting the camera to the side. CAME-TV is trying to tell me this is normal, but I call BS as this seems very sloppy and it didn't look like this at NAB. Do you have this problem as well? Thank you. I'm trying to get new battery for CAME-TV Single Gimbal , need some help ? @Cheesycam , using an A6300 with SmallRig cage and a Batis 25mm (total weight with QR plate is ~930g). It vibrates after I switch profiles and start yawing/tilting/ or rolling, unless I grab the camera after switching profiles, move it in 3-axises, and then keep it stationary, no more vibrations in yawing/tilting/rolling movements. But If I switch profiles and keep gimbal/camera steady without movement, no vibrations. @Johnny T. - No doesn't sound like anything wrong. If you can stop the vibration with your hand, then the frame is transmitting micro vibrations and may need the top clamp that they included with the gimbal. Are you using a lens adapter to a full frame lens? @Cheesycam, that was a great recommendation thank you. The balancing while inverted does differ than when upright. The only adjustment that was different for me was the Yaw balancing. I feel like I got the PID settings tuned to the best of my abilities and the Optimus is performing pretty well while upright, except for minor vibrations if I'm yawing left and right really fast. However, while inverted still getting significantly more vibrations in all 3 motors, unless I physically grab the camera, move it around, and then hold it stationary until the motors adjust to the new position -- then I have a usable gimbal. Very odd. Might be something wrong with my unit? @Johnny T - Can be done with PID tuning, but maybe try to balance pitch roll and yaw while inverted. @Cheesycam I have not tried it yet, as the A6300 is a little short, but I will give it a try with the SmallRig cage attached to it (should be close to the max payload weight then). Any way to make it free from vibrations while inverted you suppose? @Johnny T - Are you using the top clamp? There is an optional red clamp that can be used on top of the camera and it is to eliminate some of those vibrations. Emm, thanks so much for taking your time to do your reviews and tutorials on the CAME-TV Single and Optimus. I recently just switched to the Optimus from the Single. I'm using an A7RII / A6300 /w Batis lenses and also a 16-35 F4 (my setup is typically between 900g and 1100g). I got the Single dialled in pretty good with the PID and motor settings, but having a little difficulty getting the Optimus just right. 3) The gimbal works really well in the normal "upright" mode in all three modes, but once I invert it, I get some vibrations when I yaw or tilt from the yaw and tilt motors from modes 1 and 2. Sometimes if I grab the camera and keep it stationary until the encoders/motors adjust to the new position, there won't be any more vibrations. 5) I wonder if there are different "profiles" for when the gimbal is in inverted, or I wonder if my Optimus motors are just not as efficient when inverted? @arthur7 - I think it would be a lot of work to set something like that up and the distance to mount the camera from the motor will change so it would be difficult to balance. Hello Emm, can i reverse the motors on the left to the right side of the gimbal so i will flip out the dslr's screen without affecting the performance at all?? @David - For that setup the Optimus is strong enough to compensate for 'slight imbalance' and should be smooth if you aren't doing any real aggressive moves. But if you plan to be more aggressive it is better to have perrct balance. If you are just extending the lens you would just need to slide the camera backwards a bit on the QR plate adjustment and that is pretty fast to do. @Jordal Wall - First things first. What camera and lens are you choosing to work with? If you say Canon 5D Mark III, then neither Optimus or H2 I feel would be a good fit. 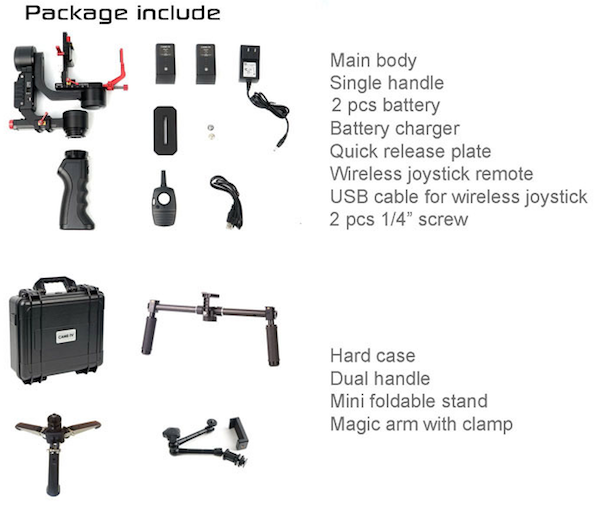 So im very much a beginner with gimbals and cant decide between h2 or optimus that being said I just want a gimbal that will be most user friendly and of coarse provide awesome stuff this whole calibration thing honestly has me freaked out do all gimbals need this and if so what one makes it the easiest and how hard is it to figure out thank you in advance for all the help! @Buster - The software to tune these (and many other gimbals) is called SBGC. You can find their user manuals at Basecamelectronics.com. It's a bit overwhelming at first, but after watching a few videos you might get the hang of it. There's been a change over the last few years with gimbals that have 'encoders' so they are very very particular about small changes you make to 'certain areas' of the software. You have to be really really (did I mention really?) careful about which settings you choose to tweak. You could screw your system up completely. So the very very very first thing you should learn is how to connect your gimbal and save your 'Original Profiles'. That is the very very first thing everyone should do. If you happen to make a change that doesn't work out well, you can always restore your system from 'YOUR ORIGINAL PROFILE'. Sorry, I have to really stress this, because people still believe they can easily just get a profile from someone else. You don't know how many times people complain 'Hey I screwed up my gimbal, please send me the original profiles'. Sorry it doesn't work like that with Encoders because they are bits of hardware that are specifically calibrated for 'each system'. It's like taking your car in for a Steering Alignment, and then using those same settings on every other car just because it's the same make and model. NO, doesn't work that way. It's mechanical and has to be tuned 'individually'. So save your profiles before messing around, so that you can restore your system back to how your system was originally calibrated. Thanks I have never actually got into the tuning aspect of the Came Single or new Optimus. Any tutorials you can recommend? @Buster - Vibrations just have to be tuned out, nothing mechanically wrong. It's a learning process, but once you know what to look it's not as bad. Hopefully they have some tuning options for you, but just remember before doing anything you really have to save your profiles. Sorry guys, didn't see this response, I use Sony A7SII with Sony/Zeiss 16-35....(actually you told me about that lens for gimbals Emm. I sent a video about the vibration to CAME. That said to make sure to use the top stabilizer, I did, but still I feel vibrations on mode 2 & 3.....very odd. So, can I atach an Futaba receiver to control Pitch/Roll/Yaw. Can also switch between gimbal modes from distance trought Futaba link? Thanks! @Buster - Can you first talk about your setup? What camera and lens are you using with this? I just got mine today, but there is some off vibration when using the locked off mode (#3) does anyone else experience that? Emm.....would love to heard you thoughts on it. Saw it one some reviews too, but was hoping I was not gonna have to deal with it. @Lainol - I'm sure the H2 is a good gimbal, but don't rely on those listed specs. Everyone is saying the gimbal can't perform well when loaded to that max rating. 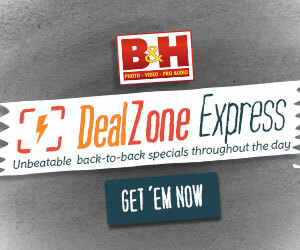 I E-mailed Came TV weeks ago about when the Optimus will it be available for sale at B&H? I never even received a response, so that might be an indication of their customer support. I just emailed them again, I will let you know how it turns out. Have you tried in depth the Pilotfly H2? Despite the limit on the pitch axis on Pilotfly H2.. which performs better? I really like the max payload on the H2: bigger lens + nd filter. @K Mart - Beholder DS1 does not have encoders. Pilot Fly doesn't work without the handle, and has limits set on some motors (can't spin 360). Crane I think is not using SBGC software, they are using their own proprietary software so not easy to customize profiles, etc. @Emm - I already have a Ronin (the big one) for big setups, but I want a lighter one for travel and for other minor works. I think the sony 24-70 f4 or maybe the cheap 18-105 f4 apsc will fit perfectly. Thank you very much. @Lainol - In the article I specifically mention if lens adapters are considered these are not the gimbals to use. You'll need a bigger gimbal. The smallest one to support that setup might be the Varavon Birdycam Lite. 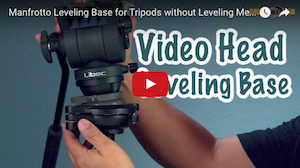 can this gimbal support a sony a7s2 + metabones + canon 24-105? Thanks for the review. In my opinion you are probably the best online reviewer of these gimbals because of your experience with so many of them. I think comparing the Optimus to the Beholder, Pilot Fly or Crane would be more valuable than comparing it to an outdated model from the same manufacture.